Recognize your shinning piano stars with our Rising Star Pianist Trophies. 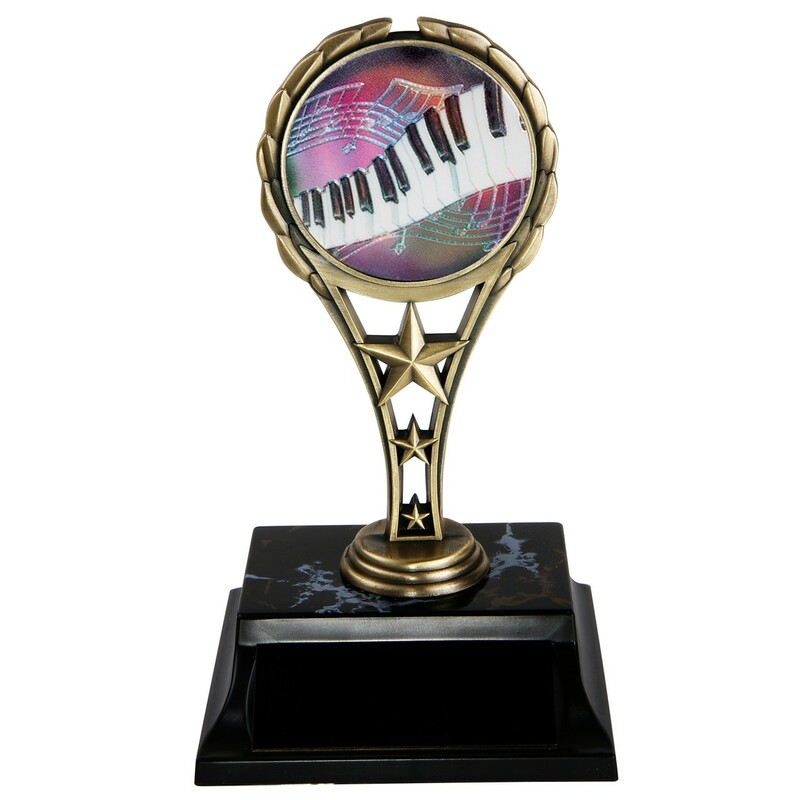 These 6 inch trophies feature a solid metal golden rising star figure with a holographic piano keys insert. The are attached to a black simulated marble base with a black brass plate engraved with gold letters.